The only thing I love better than chocolate is fudge. 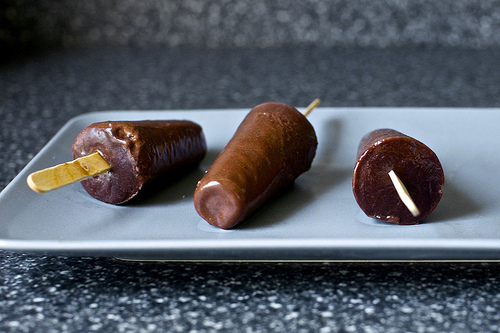 Just look how yummy these fudge popsicles from Smitten Kitchen look. You know you want to make some! You can get the recipe HERE.